The Obama administration is currently considering sending another 40,000 American soldiers to Afghanistan in addition to the tens of thousands it has already sent. What is the U.S. military really fighting for in Afghanistan and why are we still there? The discovery of pieces of an extremely explosive form of super-Thermite in the dust of the World Trade Center is of profound importance because it is evidence of the actual nano-Thermite used to demolish and pulverize the Twin Towers. 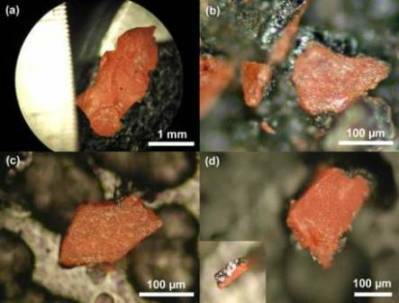 The red-gray chips found in the dust by Dr. Steven E. Jones of Brigham Young University disprove the government claims about what caused the destruction of the three towers on 9-11. Fragments of the nano-composite explosive were analyzed by an international team of nine scientists and the evidence presented in a peer-reviewed paper in March 2009. The discovery of super-Thermite in the dust exposes the government-funded reports as fabrications created to conceal the explosive demolition of the Twin Towers and WTC 7. The 9-11 reports produced by the federal agencies FEMA and NIST were written to mislead the public and media about what really happened to the buildings – and the thousands of people trapped within them. This is to say that the U.S. government and controlled media have intentionally deceived the public for eight years. The highest officials of the Obama administration have the evidence discussed in the Jones paper but have ignored the discovery of super-Thermite in the rubble and refuse to discuss the evidence of explosions in the towers on 9-11. On May 18, 2009, U.S. Vice President Joseph Biden was personally given a copy of the 25-page Jones paper during a visit to Los Angeles and asked about the administration's position on the need for an investigation in light of this discovery. Biden refused to answer the journalist's questions, but took the paper and immediately left the event. The government and the controlled media claim that the Twin Towers of the World Trade Center collapsed due to fires caused by the crashes of the two airplanes that hit them. It needs to be clearly understood that the evidence presented in the Jones paper completely disproves the government claims about what happened on 9-11. The publication of the evidence of super-Thermite in early 2009 marked the end of the government version as an acceptable explanation for the events of 9-11. It exposes the official version to be nothing but a pack of lies used to start the Israeli-designed "War on Terror" – and a very real war of aggression in Afghanistan. The evidence of super-Thermite in the dust of the pulverized Twin Towers puts every American in the unpleasant position of having to decide what to believe about 9-11 and the war in Afghanistan. If the evidence of the extremely powerful nano-composite explosive in the dust is correct, as it certainly appears to be, it would mean that the Obama administration, members of Congress, and the media are intentionally deceiving the American people about what happened on 9-11. This deception, which began on 9-11, was used to send U.S. forces to invade and occupy Afghanistan. If this is the case, the officials engaged in this deception are committing high crimes and treason. This is clearly an unacceptable situation that cannot be tolerated. The officials who are supporting the deception about 9-11 and the wars of aggression in Afghanistan and Iraq need to be removed from office and held accountable for their actions and crimes. This is the political predicament that faces every American citizen today. Although this dilemma is most acute in the United States, other nations face similar predicaments. Some forty nations are involved in the U.S.-led occupation of Afghanistan and in each of them the public has been deceived about the real reasons for the war. One can almost gauge the degree to which a nation is Zionist-controlled by the number of troops it has sent to Afghanistan. The United States and Britain have sent the largest contingents, followed by Germany, France, Canada, Italy, Poland, the Netherlands, and Romania. 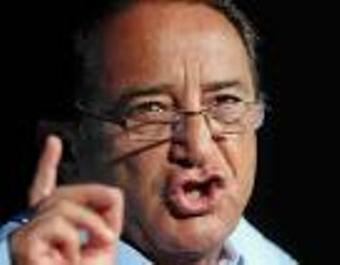 When Joe Wilson, a Republican representative from South Carolina, shouted, "You lie," during President Barack Obama's recent speech to Congress about healthcare on September 9, 2009, it was a perfect example of the expression, "the pot calling the kettle black." Rep. Joe Wilson has been deceiving the American people about the real reasons for the war in Afghanistan since 2001. As a member of the House Committee on Armed Services and the Committee on Foreign Affairs, Wilson has access to highest level intelligence and cannot claim ignorance as an excuse for the lies he tells the public. We know that September the 11th, the attacks on New York, Pennsylvania, and Washington, were directed from a valley in Afghanistan. We should not have to learn that again. What we are doing is truly protecting the American people by providing for a stable government in Pak… in Afghanistan. About the war in Afghanistan, Wilson repeated the lie he has been telling for years, using the word "truly," as he often does. "This is truly an issue of protecting American families at home by defeating the terrorists overseas," he said. If Wilson is correct about 9-11 being "directed from a valley in Afghanistan" it would mean that Osama Bin Laden and Al Qaida terrorists managed to place many tons of a very sophisticated explosive film of nano-Thermite in the Twin Towers before they were demolished. This would mean that Bin Laden, working from a cave in Afghanistan, one of the poorest nations in the world, had access to state-of-the-art nanotechnology and the wherewithal to secretly apply the super-Thermite and other explosives to the surfaces and core columns of the well-guarded towers in New York City. Like all other supporters of the government deception about 9-11, Wilson can only make such absurd and incredible statements by completely ignoring the scientific evidence of super-Thermite in the dust of the pulverized Twin Towers. It should be noted that most members of Congress support the false claims articulated by Rep. Joe Wilson. Blaming Osama Bin Laden and Al Qaida for 9-11 was evidently the master plan behind the false-flag terror attacks. The corrupt government officials and the controlled media cannot address the evidence of super-Thermite presented by Dr. Jones because that would expose the pack of lies about 9-11 and the war in Afghanistan, a deception they have supported for eight years. The first response to 9-11 by the administration of George W. Bush was the military invasion and occupation of Afghanistan. This indicates that invading Afghanistan was the real reason for the terror atrocities that ushered in the Zionist-designed fraud known as the "War on Terror." That is to say that thousands of Americans were killed on 9-11 to provide an excuse to invade and occupy Afghanistan. The administrations of George W. Bush and Barack Hussein Obama II are Zionist-dominated and controlled governments. Rahm Emanuel, for example, the Chief-of-Staff of the Obama White House, is actually an Israeli citizen and the son of a Zionist terrorist from the Irgun, the most radical terror gang in Palestine during the 1930s and 1940s. The Zionist influence in these administrations can easily be seen by the placement of pro-Israel agents in different positions at every level. Israeli influence within the U.S. military and intelligence spheres is as extensive and deep as it is within the Oval Office. Israeli military intelligence has a great deal of influence in every sphere of the U.S. government which is involved in making the decisions that go into taking the United States to war. That the U.S. government would accept Israeli intelligence on the Middle East from a state that has been at war with nearly every other nation in the region since 1948 is clearly an absurd and biased situation but that is how it is. This is how the United States was taken to war in Afghanistan in October 2001 – and why we are still there. Although no group claimed responsibility for the attacks, Israeli political and military leaders were well prepared to immediately interpret the meaning of 9-11 and spoke to the mass media with one voice. On the very day of the attacks, for example, Shabtai Shavit, the former head of Israel's Mossad, said: "The attacks symbolize the conflict between extremist Islam versus the Western democracies." The Mossad then provided fabricated evidence to support its claims via its agents in the U.S. government, such as Assistant Attorney General Michael Chertoff, the key official in the cover-up of 9-11. The Israeli politicians Benjamin Netanyahu and Ehud Barak were the very first people to blame Osama Bin Laden for 9-11 and call for military action against the Taliban-led regime in Afghanistan. They used the terror attacks and the controlled media to begin the Zionist fraud known as the "War on Terror," an Israeli military strategy long promoted by "Bibi" Netanyahu. Israel's current Prime Minister Bibi Netanyahu and Defense Minister Ehud Barak called for U.S. military action against Afghanistan immediately after 9-11. On 9-11, Ehud Barak, the former Israeli prime/defense minister/military intelligence chief, was the first person to call for the U.S. to attack Afghanistan. Barak told Rupert Murdoch's Sky Television in London that Western governments needed to make a concerted effort to combat terrorism: "Most obviously my guess is a bin Laden organization...We have to stand firm against such terrorism," Barak said. "We have to coordinate to launch the same kind of fight that our forefathers gave to the fight against piracy on the high seas - mainly terrorists should not be allowed to land at any port or airport," Barak said. "The leadership of the world should be able to take action. It is time for action. The world is not going to be the same place as before," he said. "Bin Laden sits in Afghanistan," Barak said on 9-11. "We know where the terror sites are. It's time for action." When Barak specifically called for military action against Afghanistan, he was speaking for Israel's military intelligence establishment, an organization he has headed for many years. Barak is Israel's current minister of defense and has been at the top of Israel's military intelligence organization for several decades. He was head of Israel's Military Intelligence Directorate (AMAN 1983-1985), head of Central Command (1986 - 1987), and Deputy Chief of the General Staff (1987-1991). He was Chief of the General Staff between April 1, 1991 and January 1, 1995. 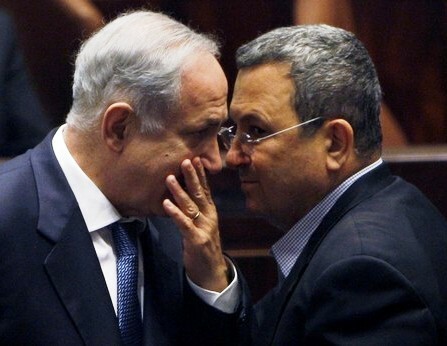 Barak went on to serve as Minister of the Interior (1995) and Minister of Foreign Affairs (1995-1996). He was elected to the Knesset in 1996, where he served as a member of the Israeli government's committees on foreign affairs and defense. In 1996, he became the leader of the Labor Party and was elected to be prime minister in May 1999. He served as prime minister until early 2001, when he went into business, primarily in the United States. An article in the Israeli press entitled "Ehud Barak Ltd." discussed some of the people involved with Barak's business dealings and his penchant for secrecy: "None of them really has the whole picture of Barak's business dealings - in business, as in politics, his policy is strict compartmentalization and secrecy." Why would Ehud Barak, the most senior member of Israel's military intelligence establishment, call for the U.S. to invade Afghanistan before any investigation of the terror crimes of 9-11 had even begun? How would Israel benefit from a U.S.-led invasion and occupation of Afghanistan? As Robert Anton Wilson said, "Every war results from the struggle for markets and spheres of influence." The war in Afghanistan is certainly no different. The Israelis are determined to use their influence in the United States to advance their interests and influence in Central Asia while limiting those of Russia and Iran. Following the break-up of the Soviet Union, Israeli agents sought to gain control of the strategic assets of the newly independent Soviet republics. In mineral-rich Turkmenistan, a Mossad agent named Yosef A. Maiman was very successful in gaining control of the republic's immense resources of natural gas. Yosef Maiman, born in Germany in 1946, grew up in Peru and studied in the United States before becoming an Israeli citizen in 1971. As an agent of Israeli intelligence, Maiman heads a network of Mossad-controlled companies that serve Israeli interests. As the chief executive of the Merhav Group, Maiman has long controlled the development of Turmenistan's gas resources, which are considered to be second only to Russia's. Maiman's key colleagues at Merhav are the former head of the Mossad, Shabtai Shavit, and Nimrod Novik, chief adviser to Shimon Peres, the current president of Israel. Mossad agent Yosef A. Maiman controls the gas resources of Turkmenistan. Maiman was described as "a leading miner" of Central Asian gas fields by the Jerusalem Post in 2004. Given their control of the immense gas resources of Turkmenistan, Maiman, Merhav, and the Mossad would all profit if and when the U.S.-led coalition were able to "pacify" and control Afghanistan so that the Turkmenistan-Afghanistan-Pakistan-India (TAPI) gas pipeline could be built allowing the gas of Turkmenistan to be sold to energy-hungry India. The TAPI pipeline project would bring billions of dollars into Mossad coffers every year. This is the real reason for the war in Afghanistan and why the Zionist-controlled Obama administration has increased the war effort in Central Asia. It has nothing to do with terrorism or 9-11. The Merhav Group is a private company. Maiman is president and chairman of the board. He is also chairman of Ampal-American Israel Corporation, Israel's Channel 10 (which he owns with Ron Lauder, Rupert Murdoch, and Arnon Milchen), Gadot Chemical Tankers and Terminals Ltd., and Arnon Milchen's agro-chemical company, Milchen Brothers Ltd.
Maiman's Merhav Group is a Mossad-controlled network of companies. Maiman's network reveals the Mossad-controlled companies linked to 9-11 and the war in Afghanistan. Maiman, for example, is an owner and director of Eltek, Ltd. an Israeli manufacturer of printed circuit boards, along with Eytan Barak. Barak is also a director of ICTS International N.V., the Israeli aviation security company that owns Huntleigh USA, the passenger screening company directly involved with the planes and passenger screening operations on 9-11. Barak is a director of ICTS, a member of the supervisory board, audit committee, and compensation committee. Huntleigh is a key defendant in the 9-11 tort litigation but the Mossad-owned company has been protected by the Zionist Alvin K. Hellerstein, the U.S. District Judge who has prevented any 9-11 trial from finding those responsible for the terror atrocity that changed the world.